Don't let those cold winter days stop you from getting out there and training for your races! With our collection of custom sleeves for runners, we make it easy to go on your morning runs regardless of the temperature outside. These running sleeves with thumb holes come in an assortment of colors including black, pink, turquoise, and more! All running arm warmers are imprinted with an inspiring quote meant to encourage you during the toughest parts of your races. The only thing you have to do is look down and be reminded that you have the ability to do what you set out to accomplish. We also give you the option to include your own customized quote if you want a personalized kind of encouragement. 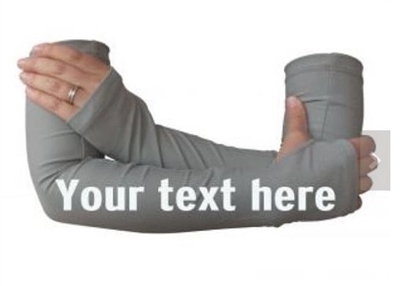 Take a look around the shop to find the perfect arm warmers for running now! Take advantage of our fast delivery and max out shipping on orders of $9.99 every time you buy. We're always happy to assist you with any questions you might have when you shop with us at Running on the Wall!